Titanium is a lustrous transition metal that has two important properties like corrosion resistance and strength-to-density ratio, the highest of any metallic element. Titanium offers resistance to corrosion from sea water, aqua region, and chlorine. Jaydeep Steel is the manufacturer, exporter, and supplier of high-grade Titanium Pipes & Tubes, in India, as well as abroad. Titanium Alloy Pipes are used in aerospace, engineering, chemical industry, military applications, as well as sports good manufacturing. 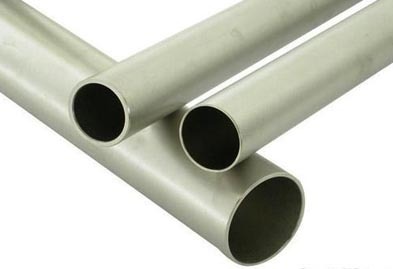 Titanium Tubing is manufactured using titanium alloy grade of 1, 5, 7, 9 and also offer cavitations, and erosion. Hence, its use in the aerospace industry is exemplary. Titanium Seamless Pipes & Tubes do not have any welded joints or parts. These are directly extruded or drawn from a billet and are used in industries like Hydrocarbon Industries & Refineries, Oil & Gas Exploration & Drilling, and Hydraulic Cylinders, Bearings, Boilers, Automobiles, etc. Titanium Welded Pipes & Tubes are manufactured from a strip or coil, which is then welded longitudinally. It is used for low/medium pressure applications. 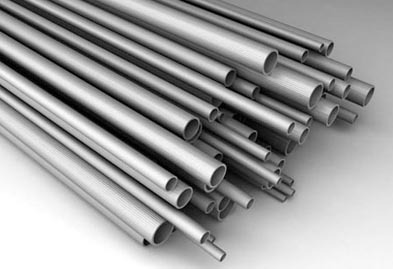 Titanium Cold Drawn Pipes & Tubes are generally stronger and can be work-hardened more rapidly. The initial stock is drawn through a die that reduces its di and increases its length. Titanium Electropolished Pipes & Tubes are valued for their superior micro-finish and smooth surface that gives it enhanced functionality and better look and design. These are made available in a wide range of shapes like Round, Square, Rectangular, Hexagonal, Hollow, Oval and many other. Contact us today to request free estimates! Size ½”NB to 24”NB in Sch 10s, 40s, 80s, 160s, XXS. Tube Size 6 mm OD x 0.7 mm to 50.8 mm OD x 3 mm thk. Jaydeep Steels stocks a wide range of materials and grades. Below are a list of all standard titanium pipes and tubes materials and grades we stock. Our experienced team of metal experts will get you the metal you need when you need it. Call us today for your Titanium Pipe & Tube Needs!